The motive behind the publication of this handbook has been the scarcity of easily accessible literature on ruminant health in the Indian region particularly in the field veterinarians and animal scientists. Most often, scientific literature published in journals is available in libraries of the Universities and research institutions which are not easily accessible to workers in the extension services. Therefore, this handbook is an attempt to extend the accumulated knowledge on diseases of ruminants to field workers. It is also suitable for students undertaking veterinary or small ruminant health-related studies in the region in addition to those who are engage in Research or M.Sc. studies in Biosciences particularly Parasitology. The handbook is presented in easily understandable language. Emphasis has been laid on the most commonly reported helminthic, protozoan and arthropod diseases of ruminants and other related diseases of common occurrence. This book is quite concise, written in a simple and lucid language. The figures of parasites are quite vivid. The book nicely explains Life cycle patterns of parasites both graphically and theoretically. 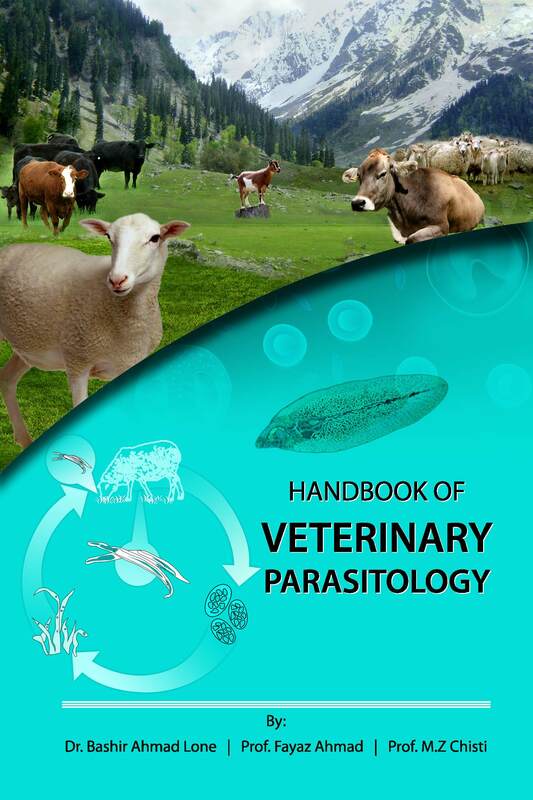 The book provides separate and detailed chapters on diagnosis of parasites, management, treatment, clinical signs etc. Bashir A. Lone (PhD) is a Researcher at the Centre of Research for Development, University of Kashmir, where he conduct research on molecular immunology. He is also a lecturer in the Department of Bioresources, University of Kashmir, Srinagar, J & K. For several years, he has directed a course in immunology and parasitology for graduate students at Govt. Degree College Sopore Kashmir. He has published more than 20 publications in different international peer reviewed and indexed journals. His research interests include immunology of protein antigens, mechanism of immune regulation and principles of synthetic vaccine. Fayaz Ahmad (PhD) is a Professor of the Department of Zoology at University of Kashmir, Srinagar, J & K. For the Past three years, he has been discharging his duties as Director, Directorate of Internal Quality Assurance (DIQA) at University of Kashmir. In addition he is Nodal Officer for All Indian Survey on Higher Education (AISHE) and Local Coordinator for Global Initiatives for Acadeic Networks (GIAN). Prof. Fayaz Ahmad is dedicated academician and has more than 250 publications in national, international, indexed and peer-reviewed journals. His research interests include genomic and proteomic studies aimed at defining epitopes of expressed by several fish parasites. His laboratory uses computational taxonomy (bioinformatics) approach and database-building to investigate karyotype studies of fish parasites. M. Z. Chishti (PhD) is a professor emeritus of parasitology in Centre of Research for Development University of Kashmir. Prof. Chishti has taught Parasitology to postgraduate students as well as having served for 6 years as Head of Department and 3 years as Dean Biological Science and as Coordinator of Postgraduate Centers at the university. His Research interests include the Parasite taxonomy, pathogenicity and immunology. He has more than 150 international and national publications, 6 books and many book chapters.